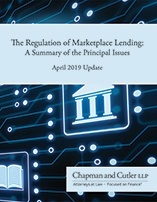 The 2019 update of Chapman's book, "The Regulation of Marketplace Lending: A Summary of the Principal Issues," addresses the latest true lender developments, the OCC charter for fintech companies, CFPB changes and how they may affect regulatory priorities and enforcement, the roles of banks in marketplace lending, and servicing and collection issues. 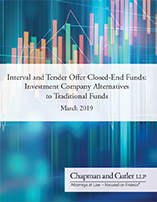 The May 2015 decision of the U.S. Court of Appeals for the Second Circuit in Madden v. Midland Funding, LLC sent shockwaves through the marketplace lending industry, and nearly two years later the questions generated by this case remain largely unanswered. 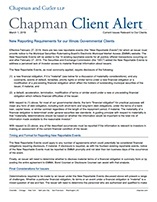 These questions have been further complicated by the long-awaited remand decision from the U.S. District Court for the Southern District of New York. 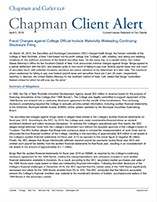 On February 27, the U.S. District Court for the Southern District of New York issued its long-awaited remand decision in Madden v. Midland Funding, LLC. 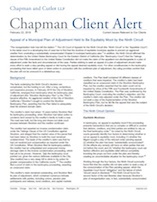 A recent decision of the Maryland Court of Appeals could require marketplace lenders and others who arrange for federal or state banks to fund consumer loans to consumers residing in Maryland to obtain licenses as “credit services businesses” and could prohibit them from arranging those loans at interest rates exceeding the applicable Maryland usury caps. 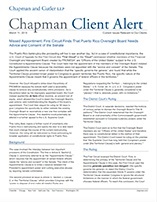 On Friday, March 18, 2016, the United States Supreme Court issued a call for the views of the Solicitor General of the United States before it decides whether to hear an appeal from a Second Circuit Court of Appeals decision rendered last May in the case of Madden v. Midland Funding, LLC. 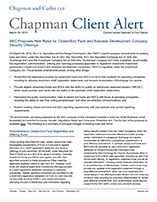 A recent decision of the U.S. District Court for the Eastern District of Pennsylvania has highlighted once again the regulatory risks that the so-called “true lender” doctrine can create for internet-based lenders who partner with banks to establish exemptions from applicable state consumer protection laws. 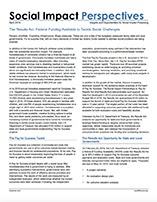 A recent decision of the Maryland Court of Special Appeals could impact marketplace and other lenders who arrange for federal or state banks to fund consumer loans in Maryland at rates in excess of the applicable Maryland usury caps. 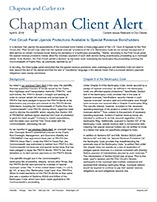 The Banking Law Journal republished a Chapman Client Alert. 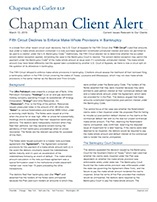 In the case of Madden v. Midland Funding, LLC, the Second Circuit narrowly interpreted the scope of federal preemption of state usury laws under the National Bank Act as such laws apply to certain non‑bank loan assignees.